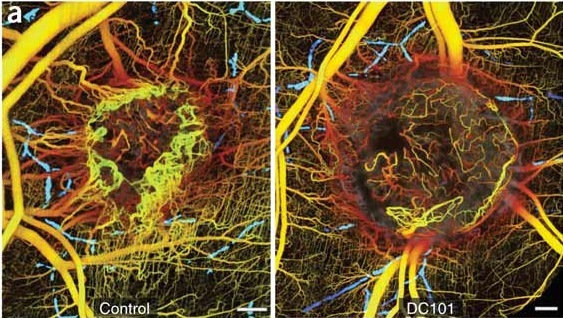 A new technique called optical frequency domain imaging (OFDI) provides amazing images of tumors (especially their blood vessels) in situ. Those images look crazy. What do the different colors of the blood vessels mean? The innovative advancement of medical technology never ceases to amaze me. This is fascinating! I guess the question I have is— are these infected or uninfected tumors? Isn’t it determined by the lack of blood flow to the tumor, or are there other determinant factors?